Media and marketing experts have long sought a reliable method of forecasting responses from the general population to future products and messages. According to a study conducted at The City College of New York, it appears that the brain responses of just a few individuals are a remarkably strong predictor. By analyzing the brainwaves of 16 individuals as they watched mainstream television content, researchers were able to accurately predict the preferences of large TV audiences, up to 90 % in the case of Super Bowl commercials. 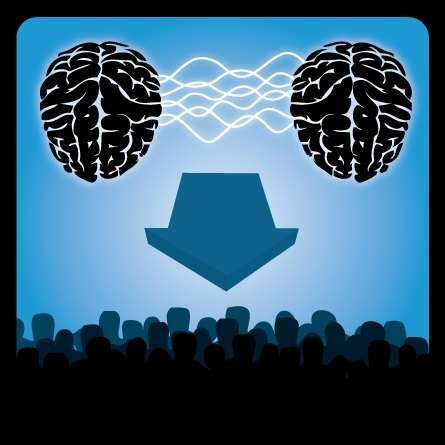 The findings appear in a paper entitled, "Audience Preferences Are Predicted by Temporal Reliability of Neural Processing," published July 29, 2014, in Nature Communications. "Alternative methods, such as self-reports are fraught with problems as people conform their responses to their own values and expectations," said Dr. Jacek Dmochowski, lead author of the paper and a postdoctoral fellow at City College during the research. However, brain signals measured using electroencephalography (EEG) can, in principle, alleviate this shortcoming by providing immediate physiological responses immune to such self-biasing. "Our findings show that these immediate responses are in fact closely tied to the subsequent behavior of the general population," he added. Dr. Lucas Parra, Herbert Kayser Professor of Biomedical Engineering in CCNY's Grove School of Engineering and the paper's senior author explained that: "When two people watch a video, their brains respond similarly – but only if the video is engaging. Popular shows and commercials draw our attention and make our brainwaves very reliable; the audience is literally 'in-sync'." In the study, participants watched scenes from "The Walking Dead" TV show and several commercials from the 2012 and 2013 Super Bowls. EEG electrodes were placed on their heads to capture brain activity. The reliability of the recorded neural activity was then compared to audience reactions in the general population using publicly available social media data provided by the Harmony Institute and ratings from the "USA Today's" Super Bowl Ad Meter. "Brain activity among our participants watching "The Walking Dead" predicted 40% of the associated Twitter traffic," said Professor Parra. "When brainwaves were in agreement, the number of tweets tended to increase." Brainwaves also predicted 60% of the Nielsen Ratings that measure the size of a TV audience. The study was even more accurate (90 percent) when comparing preferences for Super Bowl ads. For instance, researchers saw very similar brainwaves from their participants as they watched a 2012 Budweiser commercial that featured a beer-fetching dog. The general public voted the ad as their second favorite that year. The study found little agreement in the brain activity among participants when watching a GoDaddy commercial featuring a kissing couple. It was among the worst rated ads in 2012. The CCNY researchers collaborated with Dr. Matthew Bezdek and Dr. Eric Schumacher from the Georgia Institute of Technology to identify which brain regions are involved and explain the underlying mechanisms. Using functional magnetic resonance imaging (fMRI), they found evidence that brainwaves for engaging ads could be driven by activity in visual, auditory and attention brain areas. "Interesting ads may draw our attention and cause deeper sensory processing of the content," said Dr. Bezdek, a postdoctoral researcher at Georgia Tech's School of Psychology. Apart from applications to marketing and film, Professor Parra is investigating whether this measure of attentional draw can be used to diagnose neurological disorders such as attention deficit disorder or mild cognitive decline. Another potential application is to predict the effectiveness of online educational videos by measuring how engaging they are.